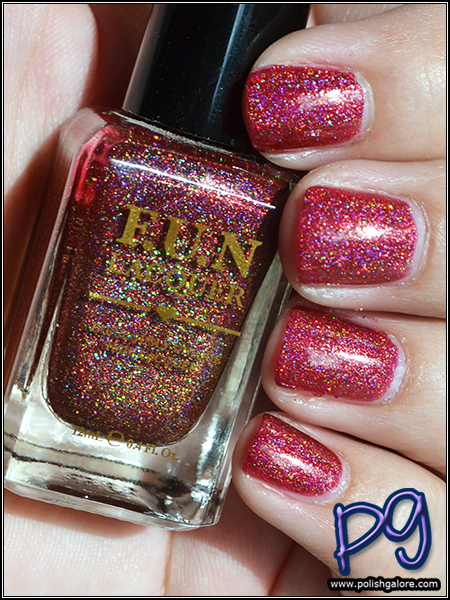 Last summer, I went through this "BUY ALL THE THINGS" phase and one of my brands to try was F.U.N Lacquer, which stands for Fabulously Unique Nail Lacquer. I purchased the entire Summer 2015 collection which included Goodness Of The Dawn, a candy apple red polish with gold and red holographic glitters. I used a base of Duri Rejuvacote, 2 coats of polish and finished with Glisten & Glow H K Girl top coat. The polish dries slightly bumpy and matte so a top coat is essential. I'm not a huge fan of this polish despite how beautiful it is. The base red just isn't my cup of tea - it has more brown to it than I'd prefer. Also it's a scattered holographic polish so yes, glittery but only in direct sun. The linear holographic look is very hard to see. 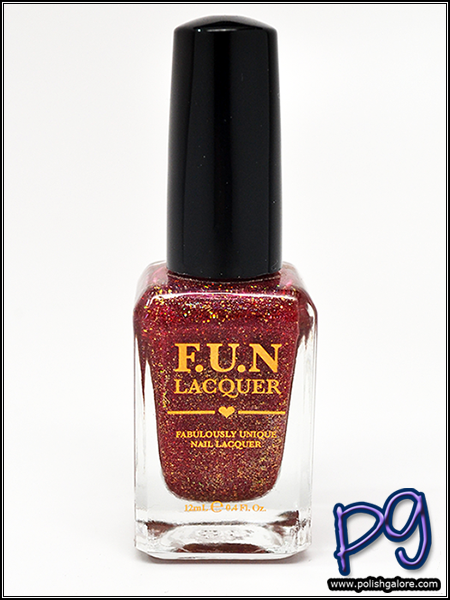 F.U.N Lacquer can be purchased through their website or their authorized stockists. Join the conversation on social media with Facebook, Twitter, Instagram, YouTube and Pinterest.